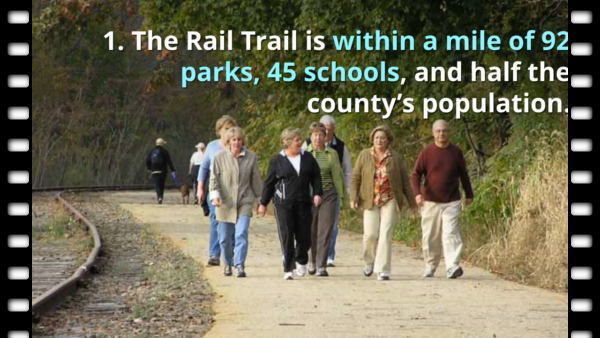 Why rail and trail? Because meeting human needs in a sustainable manner requires a blend of solutions. Our rail trail will begin serving cyclists and pedestrians this year without sacrificing longer distance transit opportunities. The mission of the Santa Cruz County Friends of the Rail and Trail (FORT) is to promote, support, and enable the development of a rail with trail transportation system in Santa Cruz County. FORT’s current focus is to get the 32-mile Coastal Rail Trail from Watsonville to Davenport built as soon as possible. To this end, FORT is garnering wide-spread community support for the Rail Trail through public education, outreach, advocacy and fundraising. Education and outreach activities include tabling at community events, distributing informational pamphlets, print advertisements, as well as presenting at a variety of meetings and events.